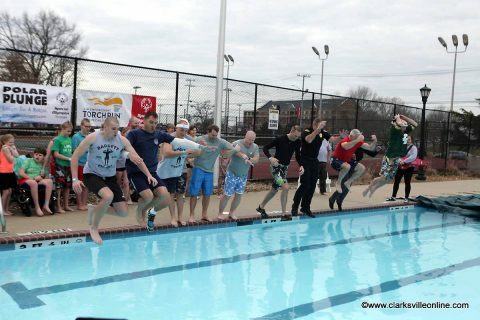 Clarksville, TN – Dozens of brave souls signed up for this year’s Polar Plunge, which was held Saturday at Austin Peay State University‘s Foy Fitness and Recreation Center Pool. Spectators enjoyed a very eclectic costume contest, followed by teams and individuals diving into the chilly water, all to support Tennessee Special Olympics. ‘Plungers’ who raised money for the cause were rewarded for their fund-raising efforts with post-plunge pizza. Some prizes were awarded for costume contest winners, as well as outstanding fund-raising achievement. Members of the Clarksville Police Department led the charge at this year’s Polar Plunge. The event held Saturday at APSU’s Foy Pool raised more than $10,000 for Tennessee Special Olympics. This year’s costume contest winner was Brad Forbis who was dressed as a Mardi Gras-inspired King Baby. His daughter Ruby Kate got in on the fun as well, donning a Bat Girl costume. Forbis was one of this year’s top fund-raisers, bringing in more than $1,300. The top fund-raiser for the 2019 Polar Plunge was Clarksville Police Department Captain Liane Wilson, who raised a total of $1,511.62. Tennessee Special Olympics V.P. 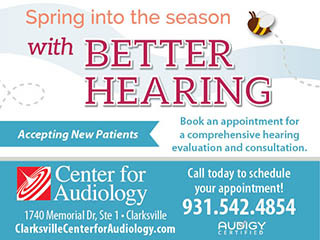 of Marketing and Development, Amy Parker made the announcements. 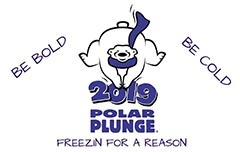 2019 Polar Plunge was held Saturday, February 2nd. One of the big story-lines of the day was CPD Chief Al Ainsley. 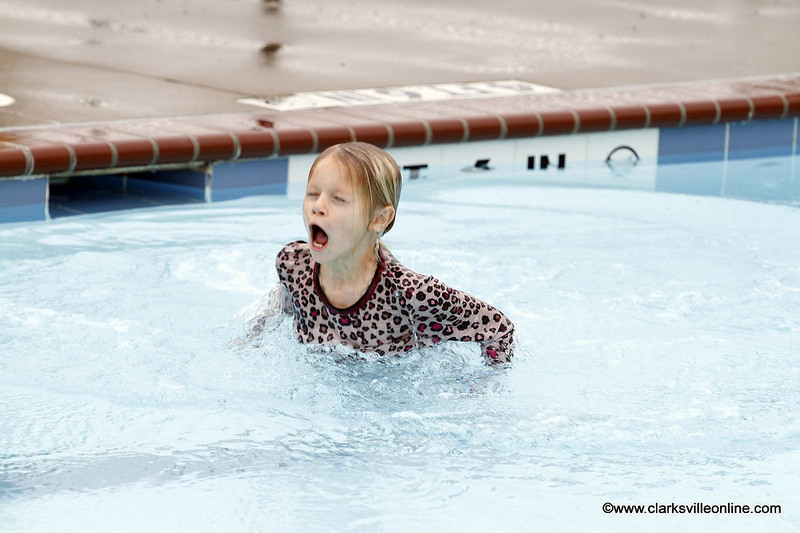 He agreed to dive in wearing his full uniform if he reached a personal goal of $500.00. He met that goal, and was one of the first ones in the pool on Saturday. CPD Officers stepped up in another heart-warming way on Saturday.